SafeNET Security is a leading provider of security solutions with over 30 years of industry experience. Located in the heart of Rockland County NY, we provide full service burglar alarm solutions, residential and commercial. 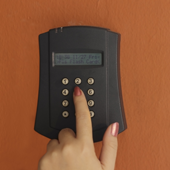 A burglar alarm systems or intrusion detection system is a cornerstone component of a complete home security plan that is increasingly growing in popularity, being used by common households. The benefits of early detection of a fire emergency in terms of saving lives are unquestionable. 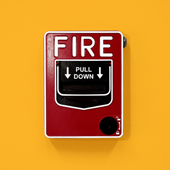 Fire alarms detect the unwanted presence of fire and notify the occupants of a building to evacuate. 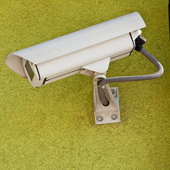 Closed-circuit television (CCTV) is the use of video camera for surveillance in areas that may need monitoring such as banks, casinos, airports, military installations, and convenience stores. 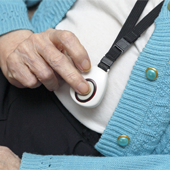 Wearing a medical alarm pendant at all times can mean lifesaving help is just a click away. SafeNet Security Solutions present industry’s first monitored two-way voice speakerphone medical alert pendant. Did you know? We have worked with all types of cusomers, including Key Bank of New York, Excelsior Fire Engine Co., Nyack School District and many more. See more happy customers here. SafeNet Security is a leading provider of security solutions with over 30 years of industry experience. 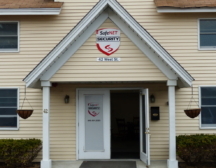 Located in the heart of Rockland County NY, we provide full service burglar alarm solutions. Residential and commercial. On time, reliable and trusted. Professional service all under one roof, alarm, Fire and Camera system. Very happy. Thank you! When my fire alarm system broke, SafeNet Security guys came over immidiatly and replaced the panel, reconnected to 44 control and tested the system. Very pleased with their service. I wanted to thank you for your support during hurricane Sandy and after. I will do my best to recommend you to all my friends. Thank you very much.